Carry the traditional tastes of Israel with you wherever you go. From the soothing Lemongrass and Spearmint teas to the olive oil, tahini, zatar and honey, you are guaranteed to remember Israel at all times of the day. This is the perfect gift box for a bar mitzvah or a special occasion. 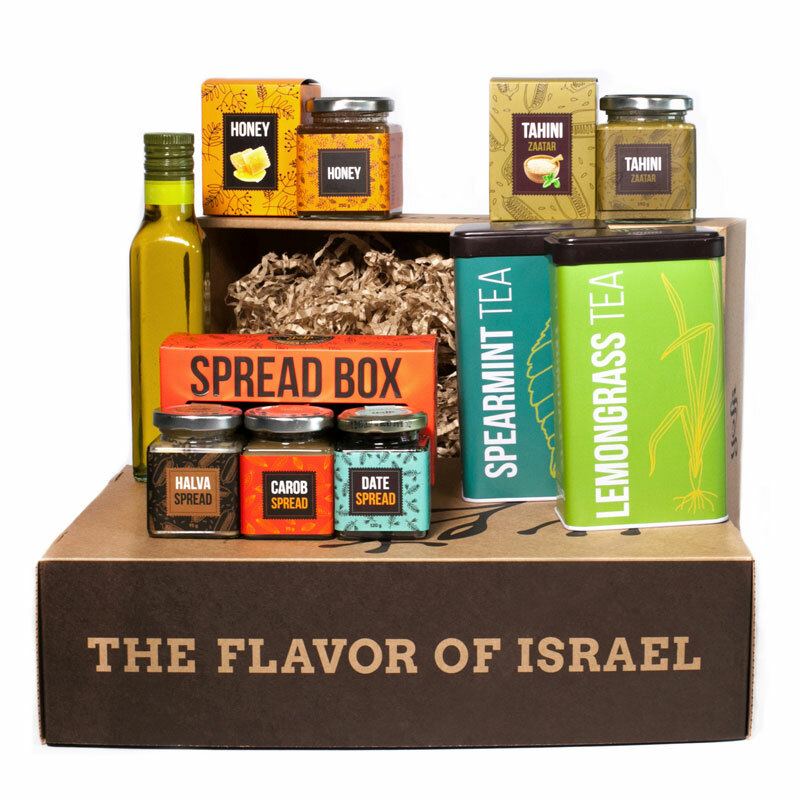 This wonderful box is packed with the delicious and healthy condiments that people identify with Israeli food culture. A meal is never complete without the pleasant smells of zatar spice, olive oil and tahini. The honey is absolutely delicious when spread on toast. To top it all off, round off your day with either the fragrant spearmint to fight or lemongrass tea to sooth your aches and pain or to just relax after a long day at work. Enjoy the delicious aromas that come straight from the holy land to your home anywhere in the world, or sent it as a gift for a special occasion to friends, family, any Israel lover.